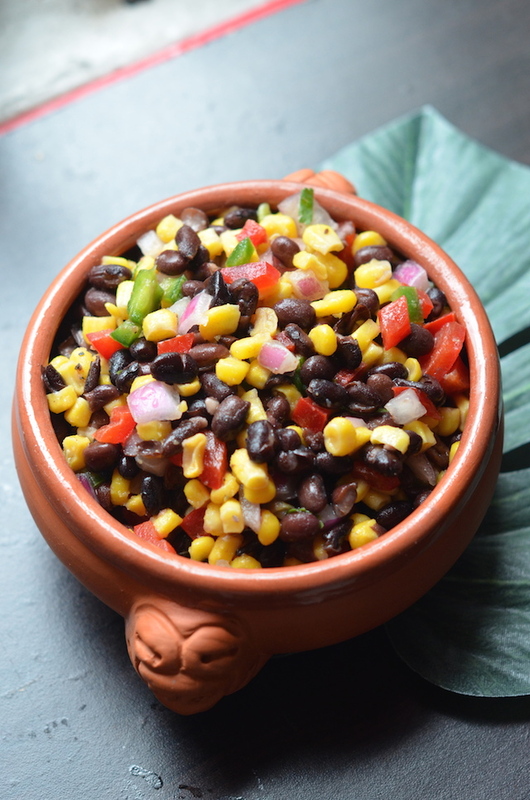 It takes about 5 minutes to pull this ridiculously easy Corn and Black Bean Salsa Salad together, but the final dish is one of those that's surprisingly good. I call it a "salsa salad" because it really is both! You can serve it up with a big bowl of salty chips (like these homemade tortilla chips!) or spoon it over tacos or serve it up on its own as a light vegetarian main course. It's also a great side for grilled chicken or fish, or can be added to mixed greens to bulk them up a bit. I've even stirred this into corn chowder or other light summer soups. It's incredibly versatile and a universal crowdpleaser. Bring a big bowl of it to your next party, and watch it disappear as you rake in all the compliments. Note that while you can definitely make and serve this right away, I think the trick that makes it SO good is to let it chill in the fridge for a couple hours so that the flavors all have a chance to get to know each other. Give it a quick toss just before serving and it'll be good to go. You can also feel free to improvise a bit--add grilled zucchini, roasted peppers, or switch up the spices as desired. 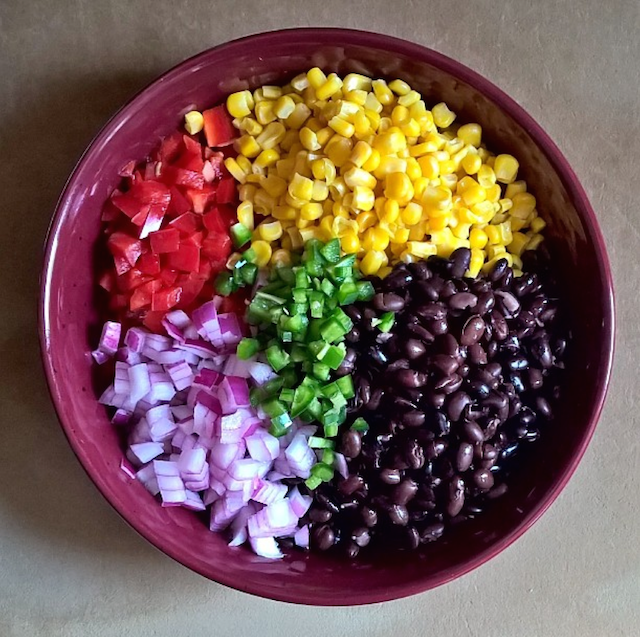 Combine all ingredients in a large bowl and toss well to combine. Season with kosher salt and black pepper to taste. Cover and chill at least 2 hours and up to overnight before serving.